Last Saturday, I volunteered at CitySprouts' School Garden Celebration (formerly the Harvest Festival), which was a blast! Despite the rainy weather, we had a fabulous set-up indoors, which still allowed us a view of the Graham & Parks school garden. I had the opportunity to work at the Stone Soup station with JJ Gonson from Cuisine En Locale. The kids did a wonderful job chopping up the vegetables for the soup, the majority of which were a generous donation from Parker Farm! Although most of the festival was indoors, we cooked the stone soup outside. The soup, which was mostly vegetables, salt and pepper, and just a little bit of stock, came out delicious and warm and was perfect for the cold, rainy day. At the celebration, each of the schools set up tables, held activities, and sold various items to help raise money for their gardens. Activities during the day included pumpkin decorating by the Haggerty School, and apple cider pressing! There were various informational booths at the festival, including one with School Nutritionist Dawn Olcott. Dawn coordinates the Tasty Choices program in the Cambridge Public Schools, which helps to bring more local foods into the school lunches. 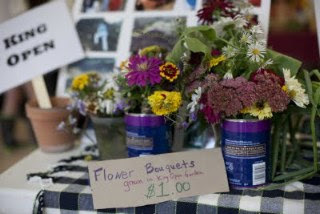 In addition, the King Open School will be involved with the program Food to Flowers, part of an environmental iniative by Compost That Stuff and the City of Cambridge. 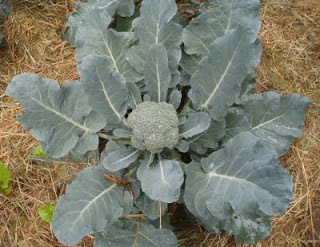 And how could I not take a picture of this gorgeous broccoli? Despite the rainy weather, the School Garden Celebration was very well attended by children, parents, and the community. 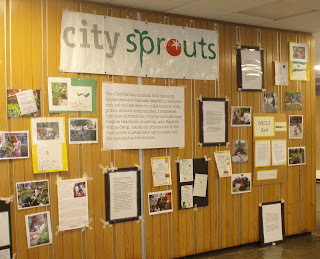 CitySprouts' is a nonprofit that now maintains gardens in ALL of the public schools in Cambridge, and helps to incorporate these gardens into the school curriculum. Read my previous post about interning with CitySprouts. Interested in volunteering? Find out more information here! All photos taken by Annabelle Ho unless otherwise noted.